Our motto this Black Friday? If you fail to prepare, prepare to fail. Still hatching your master plan for Mother’s Day? Let mom sleep in and surprise her with breakfast-in-bed. These recipes are delicious and easy to prepare, plus they’re Canadian. Daylight Saving Time doesn’t have to ruin your weekend. Here’s how to spring forward like a pro. Tagged: Daylight Savings Time, Daylight Saving Time, Sleep Habits, How to Survive Daylight Savings Time, Seasonal Affective Disorder, Overnight Oats, Breakfast Most Important Meal of the Day, Morning Stretches, Benefits of Morning Stretches, Consisten Sleep Schedule, Endy Mattress, Canadian Made Mattress, Daylight Saving Time Canada, Unique Facts About Daylight Saving Time, DST canada, Where did Daylight Saving Time Come From? Andrew Holmes, Founder of Sleep Efficiency and sleep consultant of the Ottawa Senators, shares 5 areas athletes benefit most from sleep. It’s Valentine’s Day - why leave the bedroom? 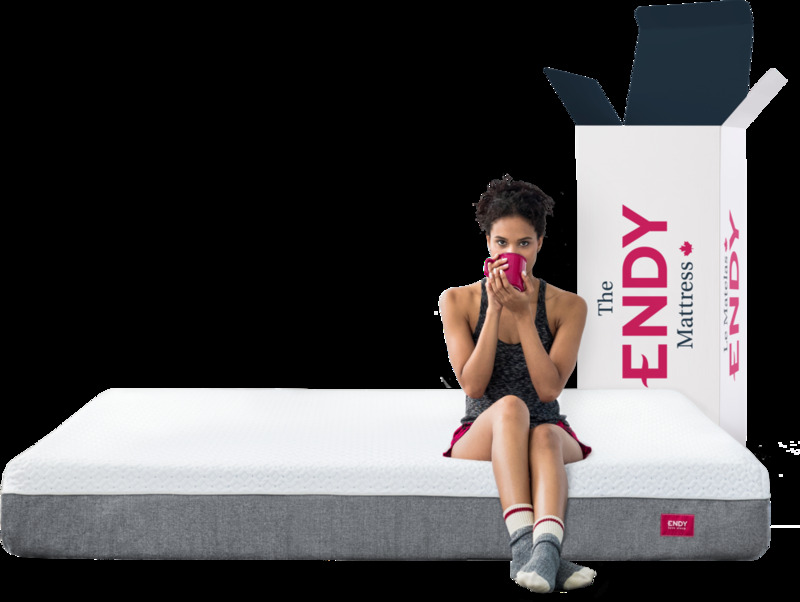 We’ve got you covered with the complete Endy assortment. One night stand? Make it meaningful with these bedside essentials. Warm up with these flavourful, stress-free and comforting meals.